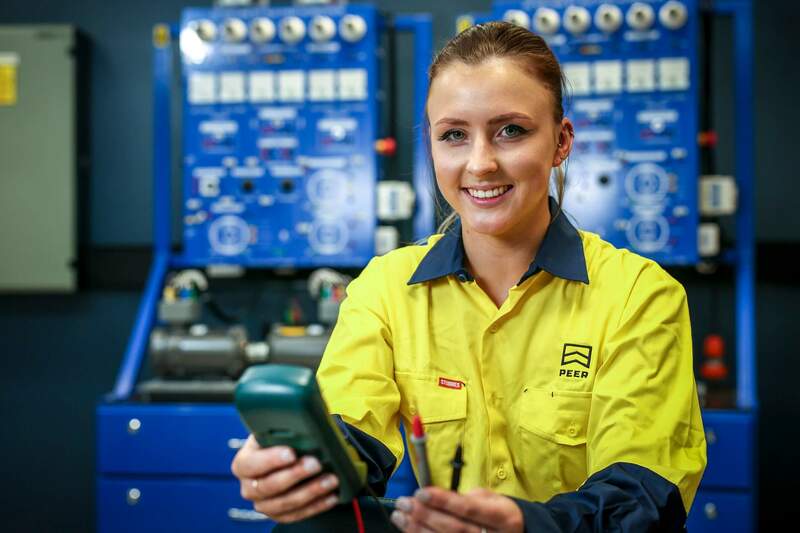 PEER, in collaboration with AGL and Inspiring Futures for Young Women Australia is promoting apprenticeship options for women in non-traditional female roles. Students across South Australia will participate in a ‘Girls Try a Trade’ event. This will provide them real experience and insight into the trades offered by PEER. Students will spend the day together discussing, exploring and trying trade related activities they may not consider a viable career option. Connecting women in the workforce at all levels and female school students to share insight and raise awareness on pathways and career options available. Informal discussion on career challenges, rewards in their roles and how our future female workers and employees can be successful in their chosen field of work post school.